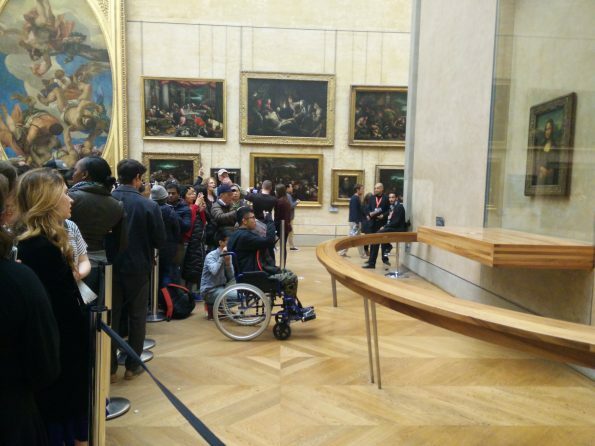 A mob of people surrounds the Mona Lisa portrait, snapping away at its modest frame. Some people push their way through to get as close to the image as possible. But once they get there, they only look at the painting for seconds. Because almost immediately after getting to the front of the mob, these people turn their backs to the portrait and stand in place. 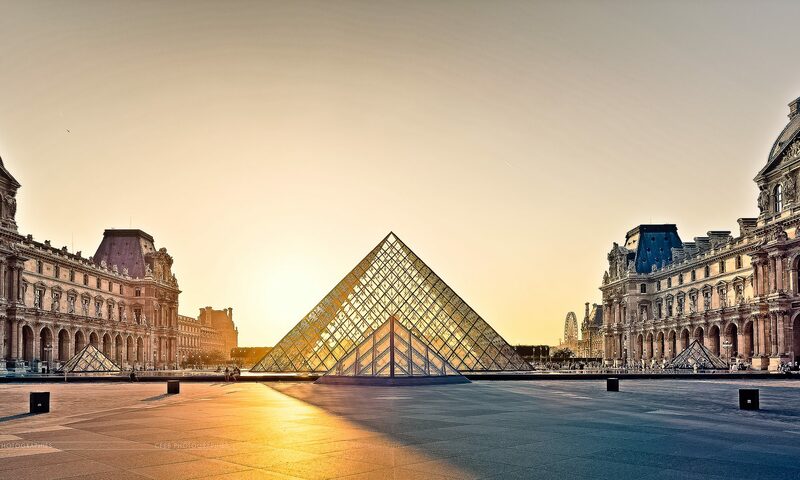 For fifteen euros, any visitor can walk into the majestic halls of The Louvre and step through its millennia of art. You can begin at the ground floor and dig through the ancient tablets of the Near Eastern Antiquities section. Then, you can venture to the first floor to look up in awe at the ceiling wide frescoes floating above the Roman Antiquities section. Then, journey down 2 levels underground to see the new Islamic Art exhibit flanked by large windows and natural light. And after all of this make sure to take a breath, because you have only seen less than 20% of the museum. However, today many visitors come here to not only look at ancient art, but to make new art, art which features none other than themselves. The Mona Lisa stands in the center of a wide room on the 1st floor’s painting section. The glass casing ten times its size, the large empty back wall, and the guardrail separating onlookers by six feet, all dwarf the tiny portrait. The extra security, signs, and promotional material outside the museum make it clear: this is what you came to see. You will tell your friends and family and everyone about seeing this. However, many visitors only spend a fleeting moment actually seeing the image. Because many push themselves to the front only to pull out their phones, turn around, and smile for their camera. Here we witness the creation of the “second order portrait.” This new genre of photography art, taken in the form of selfies or group pictures by a volunteer, feature not only an ancient portrait, but a new one, all within the same outer frame. 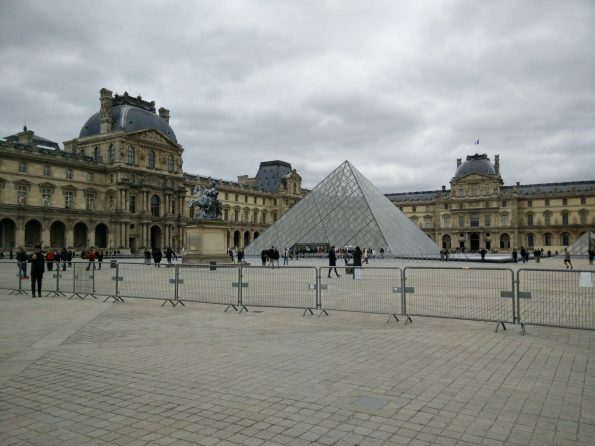 It is tempting to criticize this phenomenon, to chastise these people: Why spend all this money only to turn your back to one of our world’s greatest artworks? Why go through all that effort just for a selfie? But the counter is almost too easy: Why did great artists of the past spend so much money on supplies and tools for their paintings? Why did they spend so many years practicing to become perfect? The answer for both situations is likely the same: for the sake of expression. Therefore, are the portraits of yesterday and the second order ones of today so different after all? 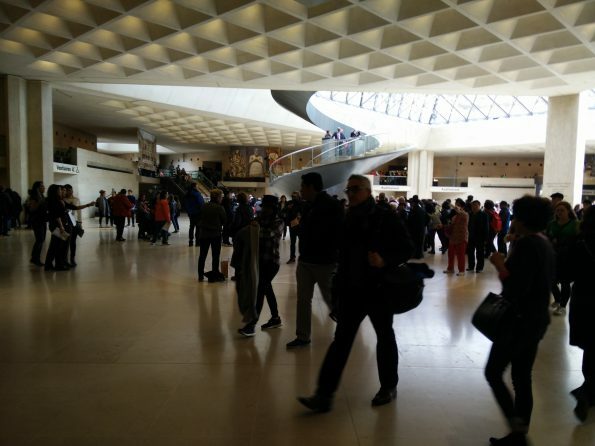 Well, the crowds of people passing through the Louvre don’t seem to fret about mixing the two. Time will decide in the end. 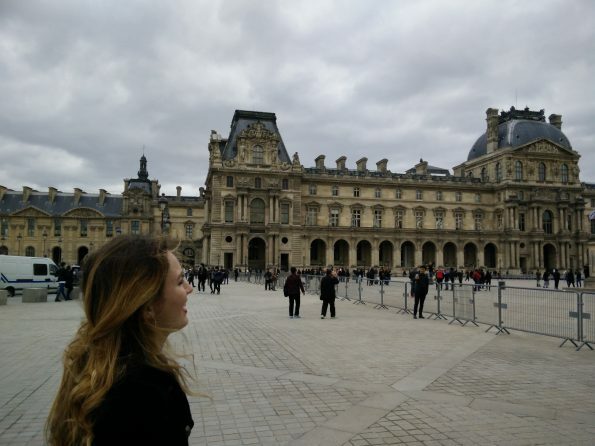 Though one cannot help but wonder how it would look if the Louvre eventually displayed a second order portrait on its own doubly secured wall.